Citroen's Sébastian Loeb, with co-driver Daniel Elena, sealed his seventh Monte Carlo Rally Victory, winning his home event after seeing of the challenge of fellow countryman, Sebastien Ogier in a VW Polo. Sebastien Loeb clinched his seventh Monte Carlo Rally victory early as the final two stages of the 2013 event were cancelled on safety grounds. Heavy rain had moved into the previously icy and snowy region as the cars were in the mid-evening service, and as the worsening conditions prompted hordes of spectators to leave the stages, local roads became badly congested. The situation ultimately reached the point where the organisers felt compelled to cancel stages 17 and 18 as the level of traffic would have made it impossible to put their action plan into place in the event of an incident. Results will therefore be taken from the end of SS16, with Loeb winning for Citroen ahead of Volkswagen's Sebastien Ogier. 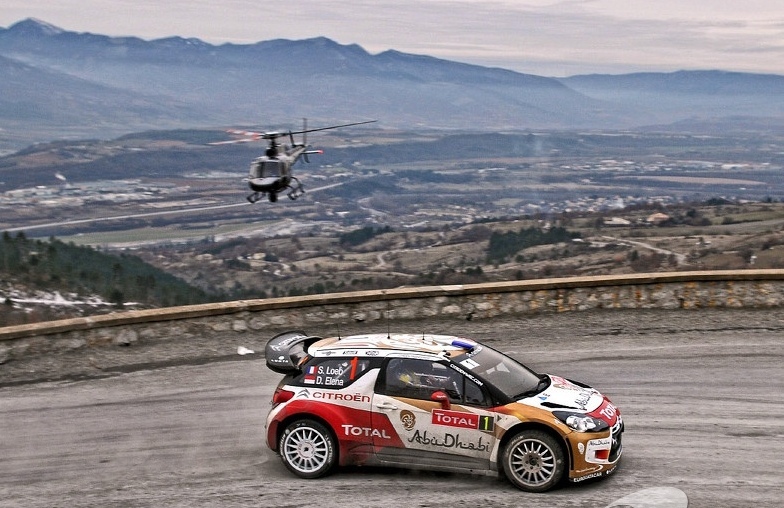 Loeb led the Citroen charge, with team-mate Dani Sordo finishing third qnd Mikko Hirvonen fourth. The drivers were hampered by appalling weather conditions with rain combining with heavy snow to create impossibly slippery stages and even leading to cancellation of two stages on the classic Col du Turini. Loeb's seventh Monte Carlo win also matches Tommi Mäkinen's four consecutive victories on the world famous event. It also puts Citroen at the top of the Manufacturers' World Rally Championship, although there is a long season ahead.